What is a Silver Bullion Bar? There are many reasons that investors (beginners and experts) immediately choose to buy silver more than any other precious metal. For beginners, when the price of silver per ounce is so much lower than gold, platinum, and palladium, they realize they can buy substantially more physical metal for their dollar. With its much lower price, buying silver bullion is much more appealing to small or novice investors. Since this market is small and there is a high use of financial leverage on the trading exchanges, silver prices are volatile. But its role as both a monetary and investment metal and a vital industrial metal make it an exciting commodity. We believe the supply and demand picture is extraordinarily bullish. The U.S. is reaching record highs in debt and the tipping point may come sooner than later. In 1980, the national debt was a mere $930 billion. Today, it's over $18 trillion officially, with tens of trillions more in "off budget" debts and obligations accumulated in the last 40 years. The Federal Reserve's balance sheet now tops $4 trillion, with no end in sight to ultra-accommodative policies. In 1980, available above ground stockpiles were estimated to be 4 billion ounces. Today, many estimate these stocks at less than 1 billion ounces. And annual consumption has exceeded supply in many years. As industry finds new ways to use silver, the market could experience a long-term supply deficit, and inventory depletion would then accelerate. There may be 18 billion ounces of extractable silver left according to the according to the U.S. Geological Survey. If this is indeed the case, there won't be enough supply left due to the steady increase in demand. Just last year, the demand rose to a record 1,081 million ounces according to The Silver Institute's World Silver Survey 2014. While the demand rises, production has increased less rapidly. So not only are we running out, the supply is diminishing faster than ever. Unlike other metals, it is consumed in very small increments, making recycling very difficult. In other words, once it is used, it is usually gone forever, practically speaking. At the same time, it is generally an incidental cost in the products that use it – such that a dramatic increase in the price will not necessarily cause substitution. A hint of shortages could cause industry users suddenly to hoard the metal and drain remaining available inventories. Investor demand is surging. From 1990 to 2005, investors had been net sellers of silver. In 2006, we witnessed what appears to be a major sea change in the market. The public again became net buyers. In 2014, demand for American Eagles soared to a record-high of more than 44,000,000 coins – a number that would surely have been higher if demand had not completely overwhelmed the government-run Mint's production capabilities at times. Other government and private mints around the world have been cranking out coins, rounds, and bars at record-setting levels. The gold / silver ratio is currently around 70, which suggests silver is vastly undervalued. The ratio of silver to gold in the earth's crust is 17.5:1 – and the price ratio has hovered in that range for most of recorded history (see graph). If history is any guide, the remaining bull market in precious metals could see silver outperform gold by a factor of 4 or more. Save for recent decades, US silver coins have been used as money throughout human history and is in the process of reassuming that role. As faith in government fiat money (such as Federal Reserve notes) diminishes, savers and investors worldwide are embracing gold and silver as a store of value. Savvy investors are paying more attention to the declining purchasing power of the U.S dollar than ever before. Is silver a good investment? Wise investors are buying silver to preserve their wealth for the future. The white metal has become a viable part of a robust investment profile. Precious metals such as gold bullion are used to accumulate wealth and hedge against inflation. Discover the reasons to invest in silver and how this popular commodity can be purchased. 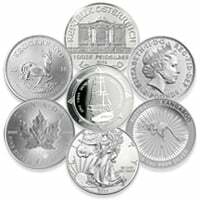 Silver is unique because it is considered both a commodity and currency, depending on how it is used. Precious metals, such as gold and palladium, can be purchased to guard against inflation. 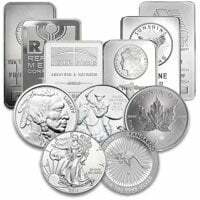 While any investment is a risk, silver has been used for centuries for a variety of purposes. Industries rely on it, making it a solid investment choice. As a vital industrial and monetary metal, it has value around the world, regardless of economic conditions. It can be sold at current market prices as needed. As an investor in silver, buy it in basic forms such as bullion, bars, coins, and rounds to get the most silver for your dollar. Investors typically purchase it by weight, such the troy ounce, pound, gram or kilo. It is priced by its weight in .999 fine silver. If an item contains lower purity levels, it may fetch slightly lower prices per troy ounce of the .999 silver it contains. The American Silver Eagle coin is as well-known as the famed gold Krugerrands minted at the South African Mint. As legal tender coins, they can technically be used as currency as well as for investment purposes. 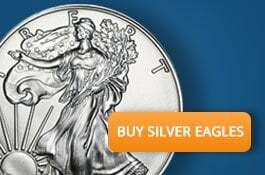 Buy silver eagles online or by phone (Call: 1-800-800-1865). The United States government mint American Eagles as an investment, including American Gold Eagles. They are also collectibles that can be used as a reward, gift, or incentive. 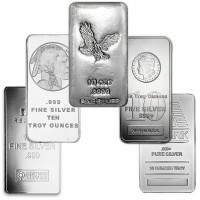 Each American Eagle contains, at least, one troy oz of 99.9% pure silver. The notable design on its obverse is based on the “Walking Liberty” half dollar created by Adolph A. Weinman in 1916. The best way to store Silver Eagles is to use monster boxes. 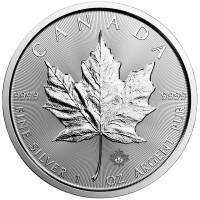 One of the most common Canadian coins are the Canadian Maple Leaf Silver Coin. Each year, the Government of Canada issues the Canadian Maple Leaf coin. It is also legal tender, with a face value in Canada of about 5 Canadian dollars. The market value is determined based on the current spot price. 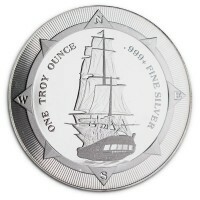 The standard coin weighs 1 troy ounce and contains 99.99% silver. The obverse side of the Maple Leaf features Elizabeth II. The reverse has the Canadian maple leaf. 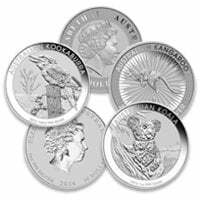 There are two major types of silver bullion coins from Australia. The Kookaburra has been produced at the Perth Mint since 1990 and is minted of .999 fine silver. 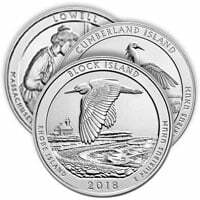 While the obverse always features Queen Elizabeth II, the reverse features a different kookaburra bird each year. As a result, these coins may have a slightly higher collectible value than some other bullion coins. They are available in four sizes, ranging from one troy ounce to 1 kilogram, with face values from $1 to $30. The Australian Kangaroo is minted by the Royal Australian Mint. They have legal tender value in Australia and the design changes annually, which also gives them more numismatic value than other bullion coins. Introduced in 1993, the Australian Kangaroo is a one troy ounce bullion coin. It is issued as both an un-circulated bullion coin and a so-called “proof” coin, which can be purchased in proof sets. 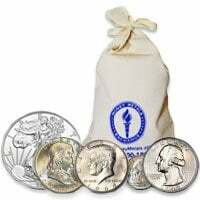 Junk silver (aka pre-1965 coins) is an informal term to describe a circulated 90% silver dime, quarter, or half dollar that has the bullion value of the silver it contains. This type of circulated coin has no collectible or numismatic value. Beginners and people who are looking to invest on a budget are often attracted to junk silver. Morgan dollars are one of the most collected coins in United States history. These large coins were produced between 1878 and 1904. They are part of America's westward development, which gives them historical significance. They were produced again in 1921. There are many varieties, making the Morgan a challenge for collectors. 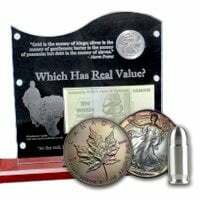 In 1921, the Silver Peace dollar was released and produced until 1935. While most Morgan dollars are worth little more than their actual melt value (despite what rare coin dealers attempt to argue) those that are in nearly pristine condition can be considered collectible and carry a premium well above the spot price. These coins represent peace, liberty and power in America. Numismatic coins are different from bullion coins. Bullion investing is premised on inflation hedge, survival, and building wealth. Conversely, numismatic coins are supposedly collectible. Numismatic coins are not produced in modern times and some of them are actually rare, although most coins marketed as “rare” are not rare at all. 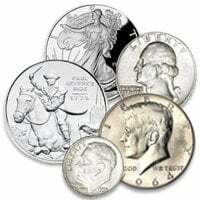 The truly rare coins are valued mostly on their collectible value rather than the silver content. Only experienced collectors should purchase any form of numismatic or rare coin, as there are so many scammers out there taking advantage of novices. Even if you do happen upon a truly rare coin, one should not expect to be able to sell them quickly or at a profit until much further into the future. 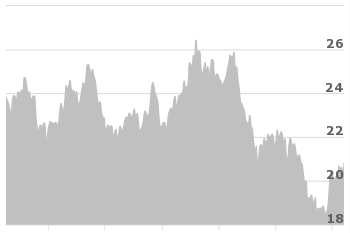 The bid/ask spreads are extremely high – sometime 50% or more. Do your own research, or better yet, only buy bullion coins, bars, and rounds that are priced based on their actual metal melt value rather than some highly subjective numismatic value. 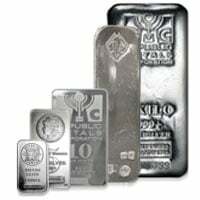 Silver bars are a type of bullion. Many investors decide to add them to their portfolios. 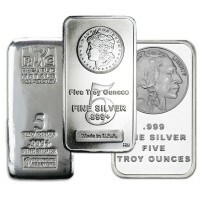 The poured silver is shaped into actual bars that are usually sold in troy ounces. Sometimes they are sold in gram or fractional ounce sizes, too. These bars can be purchased in various ways, including online and at local shops. Do you still need more information on buying fractional silver? Contact us over the phone and one of our representatives will be happy to go over an questions you may have and help you better understand before you make a purchase. Bar sizes are typically one-ounce, 5 oz., 10 oz, and 100 oz. There are also large 1000 ounce bars. Smaller bars actually cost more per ounce because the fabrication costs are higher per ounce of metal. It is more cost effective for mints to produce larger bars, and as a result, they cost less per ounce. However, larger bars may be somewhat difficult to handle or store. 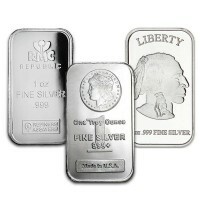 Start your investment small with the 1 oz silver bar or the 5 oz fine silver bar here. Then work your way up to larger sizes as you get more comfortable with investing. 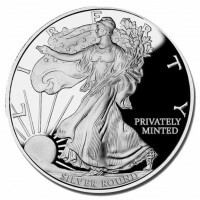 Silver rounds are coin-shaped but are minted privately. They are commonly referred to as rounds rather than coins because the word coin refers to circulating, legal-tender currency issued by the government. 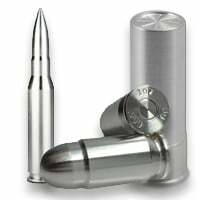 Rounds bear a variety of designs. They can also be engraved to use as gifts or for military commemoration. They do not have a face value and cannot be used as legal tender. Usually, they weigh 1 troy ounce and contain 99.9% silver. 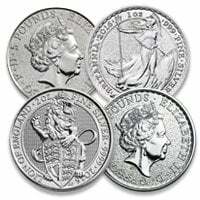 Buying silver rounds tend to be a very cost-effective way to accumulate ounces when compared to coins. 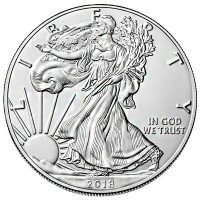 Money Metals Exchange has commissioned the creation of a proprietary round design loosely based off of the U.S. Mint’s Walking Liberty silver half dollar from 1916 to 1947. This 50-cent piece was designed by Adolph A. Weinman. It depicted Liberty walking toward the sun. Art historians have deemed it to be one of the most attractive United States coins. A modification of this design has been used on the obverse of the American Eagle since 1986. Our privately minted rounds are branded with our company name and do not bear markings that would create confusion that the round is an actual legal-tender coin. Instead, it is a lower price way to accumulate attractive-looking silver ounces. 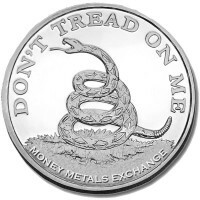 Money Metals has these rounds in one ounce, half-ounce, quarter-ounce, and tenth-ounce sizes. 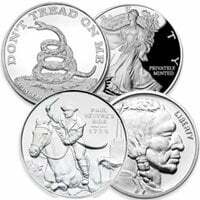 Buffalo Rounds are also 1 troy ounce and contain .999 pure silver. 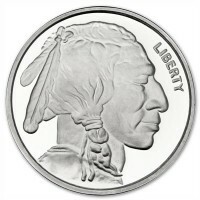 They typically feature the design from the American Buffalo Nickel. These attractive rounds represent a important slice of American history. They also have an image of the Native Americans. Private mints across the country produce Buffalo rounds each year. 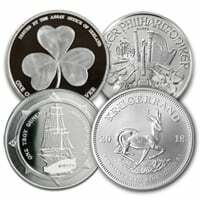 There is a wide variety of generic rounds minted by private mints across the world. For example, they are made to celebrate holidays or as commemorative coins for service providers such as the armed forces. As rounds, they are not legal tender. 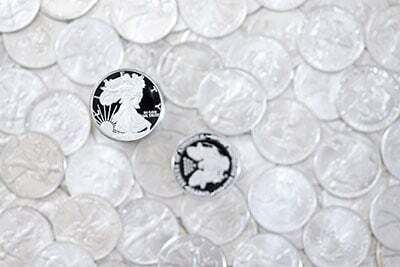 Generic rounds general have a weight of 1 troy ounce of 99.9% silver. Medallion is another word for a round. 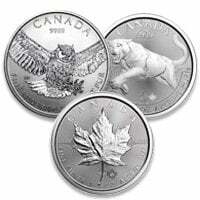 Medallions can be used to add silver to an investment portfolio or as collectibles. Some can be custom engraved to celebrate a certain occasions, such as birthdays, graduations, holidays, and more. Market watchers usually keep track of the price of gold along with the S&P 500, the Dow, and the price of crude oil. An increasing number of market watchers are keeping an eye on silver, especially since the surge in prices since 2003. Both silver and gold appear volatile when priced in the volatile U.S. dollar, but they are important financial insurance and potentially profitable. The initial cost and ultimate sale price of gold is many multiples higher than silver. However, silver is accessible to everyone from beginners on a budget to seasoned investors. Both are key investments that can help hedge against inflation and financial turmoil. Traders often analyze the gold/silver price ratio. Compared to gold, silver prices tend to be more volatile. For those who prefer not to hold actual silver or gold, precious metals can be purchased through exchange-traded funds (ETFs) but this should not be considered as safe as owning actual bullion directly because of the counterparty risk involved in ETFs. Silver is an especially attractive investment option because it is used for many traditional industrial purposes, ranging from electrical appliances to solar panels and even clothing. Gold has a few industrial uses but is usually considered a luxury purchase, such as gold jewelry. Owning both of these precious metals is a good way to balance an investment portfolio. You can start off wit U.S. Mint gold coins, then work your way up to ther forms of gold bullion. Bullion mints manufacture coins, rounds, and bars. The history of coins ties in closely with the history of mints. The first coins were hammered and production was slow and difficult. Now these sophisticated industrial facilities can produce hundreds of millions of coins, bars, and rounds. 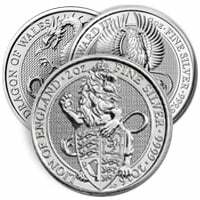 The minted silver coins are used for investment and currency purposes. By simply opening up a new plan with a self-directed IRA provider, you own physical silver inside of your retirement account. Precious metals can be purchased in various types of IRA plans including Simplified Employee Pension plans (SEPs), Roth plans, and more. Keep in mind, you cannot add coins you already own to the IRA. And so-called “collectible” coins cannot be purchased or held by your IRA. Otherwise, account holders can deposit funds and direct the custodian to buy any bullion product. American Eagles and shares of silver miners are also allowed. A silver IRA is also a tax sheltered method to get direct exposure to the precious metals. To learn more about gold and silver IRAs, contact Money Metals Exchange at 1-800-800-1865. Supply and demand drive the price of silver, much like other commodities. Prices tend to be volatile when viewed through the lens of the volatile U.S. dollar. Investors typically check the COMEX to access indices for prices and the NASDAQ in the am and pm, to determine the current value of silver. When it comes to silver, the spot price is what matters. This is the price it can be exchanged and delivered at that exact moment. Investors should always verify the spot price before trying to buy, sell, or trade silver, as it is constantly changing. It is important to use trusted, verifiable resources such as MoneyMetals.com before any contracts are signed and approved. Just as is the case with large amounts of cash, it can be dangerous to drive or walk around and carry large amounts of silver. While you can get fast money at a reputable local shop, often you wind up taking a lower price because they tend to lowball unsuspecting people and they may not have the sophistication needed to dispose of the metals quickly. 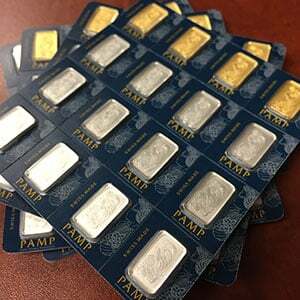 One of the safest and best ways to get a good price when selling silver bullion is to work with a reputable national dealer such as Money Metals Exchange. Wherever you choose to sell, be sure to obtain a firm price commitment before handing over possession of the metal. Transactions can be instantly conducted in a secure online environment, in person, or over the phone to seal the deal. When you are ready to flip your precious metals items for a profit, be sure you know their value. Verify the metal content before negotiating a sale. It might be marked or stamped with a number, such as 999, which means 99.9 percent silver. Check the latest market updates to ensure you are getting the best possible price. Sellers might need to barter to get what the silver is worth. Compare prices and premiums before making a final decision. You can make an excellent financial decision by deciding to invest in physical silver. Whether you want to buy or you have silver for sale, reach out to Money Metals Exchange to get dedicated customer service and the most competitive pricing. Learn more about investing in silver and what a great choice it can be. Ordering is easy and secure. Connect with us today and start investing in your future wealth and financial security! To speak to one or our in-house experts about silver, or if you have any other questions, you can get in touch with Money Metals by calling us at 1-800-800-1865.